We have been specialising in foundation piling and drilling equipment for almost 30 years. Our experience, knowledge and expertise in foundation and piling equipment make us the first choice for our clients. 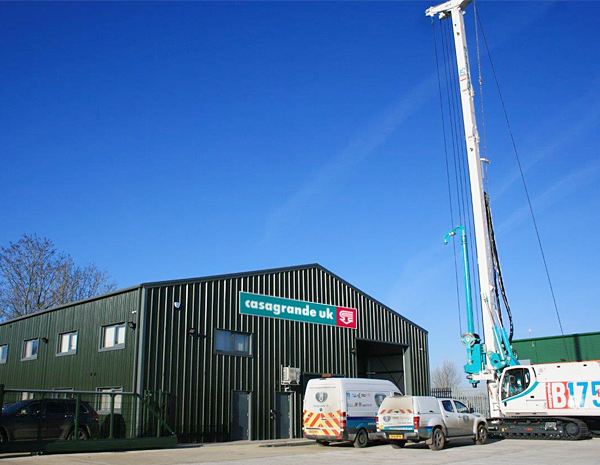 From our centrally located, purpose built premises in Westcott near Aylesbury we sell, support, service and maintain new and used piling rigs, equipment for diaphragm walls, drilling rigs, tunnelling machines, grouting plants and pumps and hydraulic crawler cranes for major construction companies throughout the UK. Please contact us at your convenience to discuss your particular requirements. To assist in directing your request to the correct person please see our key contact details below.